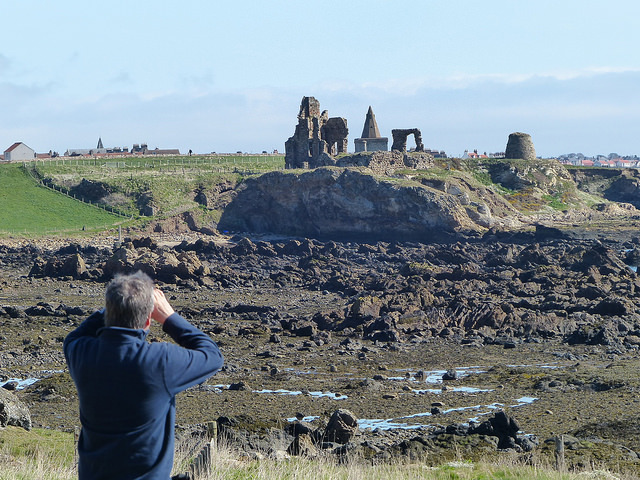 We really could not have picked a better day for the Elie to Crail walk along the Fife Coastal Path in April. It was an easy task to spring out of bed on a morning like this, and after a hearty breakfast involving amounts of Penmans bacon rolls, we headed off to the bus stop in Crail to await the Stagecoach East Coast service 95 to Elie. It’s an hourly service, so worth making sure that you’ve checked the timetable before you set off. Before we’d even got off the bus, I spotted deer by a small stream just as we entered Elie, so was feeling hopeful for a good day’s walking. 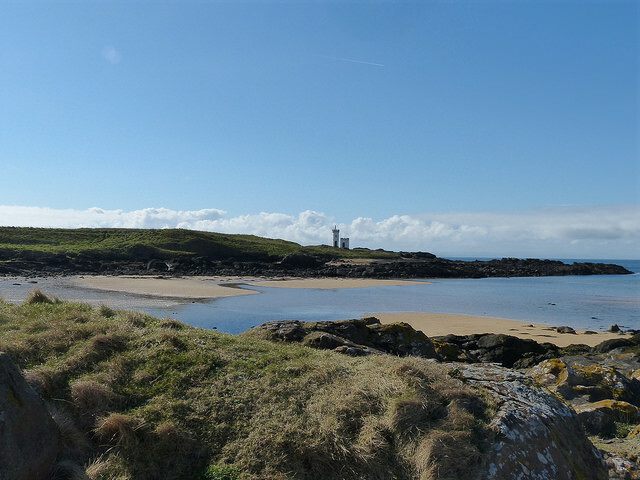 We were soon on the Fife Coastal Path, and heading along towards the lighthouse and past Ruby Bay Beach, where it looked very tempting to sit down and enjoy the spring sunshine. As we started along the well-marked paths heading eastwards, our small group of three knew that this wasn’t going to be one of our speediest walks as we spent so much time stopping to take photographs, spotting the abundant bird life and stooping down to identify new growth of the many species of wild flowers we were able to spot along the path. As this point, Sandy was training his binoculars on a pair of kestrels which were swooping down around Newark Castle, and which we were pleased to find still in the area as we passed by and headed towards St Monans, where we stopped for some refreshments at the East Pier Smokehouse, and found the public toilets at the top of the hill. 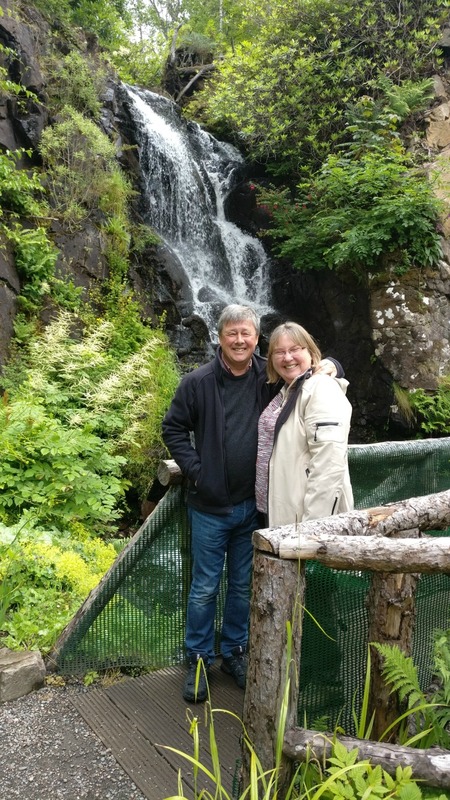 We decided that we’d wait until we got to Pittenweem before stopping for lunch as we weren’t really making very good time because there was so much to see on the way. Once in Pittenweem, the hearty soup at Cocoa Tree Café was suitable sustenance to keep some of our party going, whilst a certain one decided he’d rather refuel on a Barnett’s Bean and Potato Pie. Great to have the option! 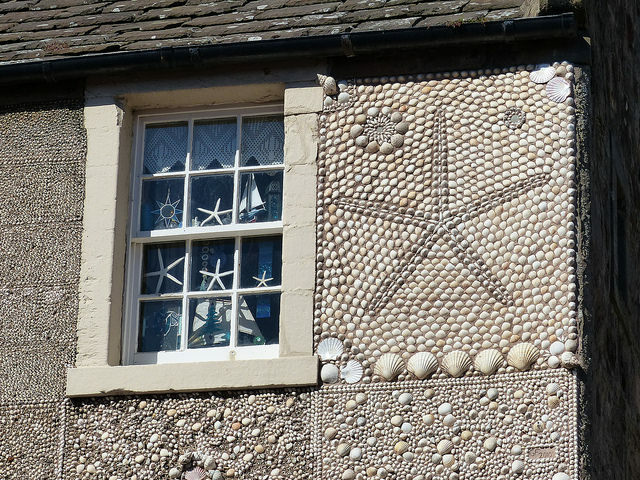 Although I could have chosen a view of Anstruther Harbour, I’ve opted to include a photograph of the Shell House at the corner just past the Dreel Tavern in Anstruther – you’ll know the sharp bend which you have to take very cautiously as there may be a bus coming in the other direction. However, for drivers and walkers alike, it’s the route across the Dreel Burn before you enter proceed along the Shore at Anstruther. I’d love to have spent more time taking classic shots of washing hanging on the line at Cellardyke Harbour, but we were all now getting a little anxious that we needed to keep marching on to reach Crail as we had a family event to go to in the evening, and we wanted to have a little time to relax and refresh ourselves before going to that. The section between Anstruther does involve some rougher terrain and possibly muddy sections of the path, so it’s here that the wearing of proper walking boots is particularly essential. We spent a little time walking around the ancient site of Caiplie Caves, and spotting another kestrel nearby – it must have been a day for them. I love the part of the walk where you come to the old fishing station as you near Crail – imagining what the residents there would have done in the past, and enjoying the views out towards the Isle of May, which we’ve been seeing from all sorts of angles as our walk progressed. Having set off from Elie around 10 am, it was a little after 4 pm by the time we reached Crail. We had of course stopped for lunch, refreshments and lots of photographs, and had enjoyed a very good walking day. 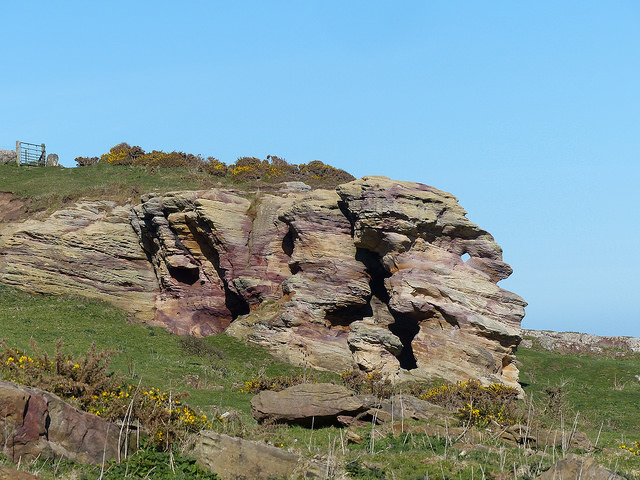 Photographs from this walk are included in our Flickr Album: Section 5 Elie to Cambo Sands. 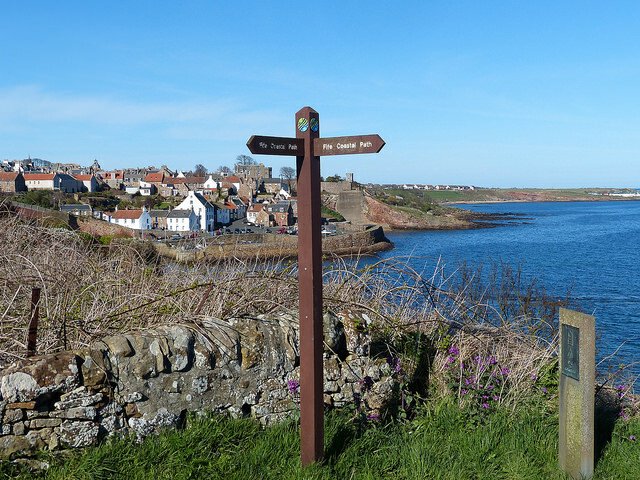 Information about the Fife Coastal Path. Traveline Scotland Apps and Stagecoach East Scotland Bus services. 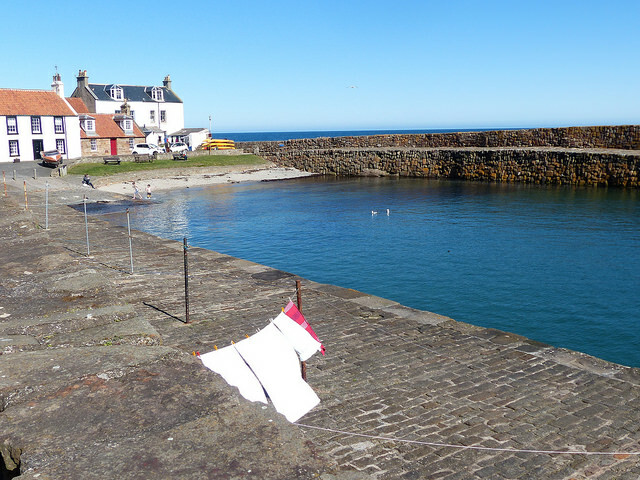 Local businesses we visited: East Pier Smokehouse, Barnett’s East Neuk Baker, Cocoa Tree Café. 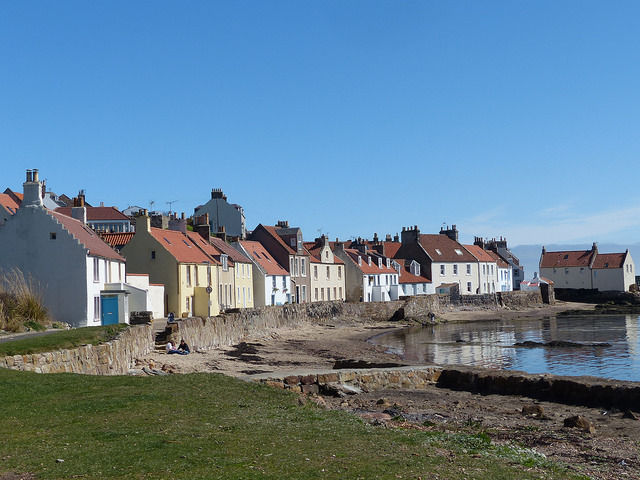 Base yourself at Sandcastle Cottage, Crail as an ideal place from which to walk the Fife Coastal Path from Leven through to the end-point at Newburgh (Sections 4 to 8 on the Footprint Map). We look forward to welcoming you there. this is Newark Castle not Warrack Castle….. Yes, of course it is! Thanks for reading. I’ll change it now.